AD-18/E is an omni-directional, vertically polarized V/UHF antenna for ground-to-air and ground-to-ground mobile communications in the 225 to 512 MHz range. 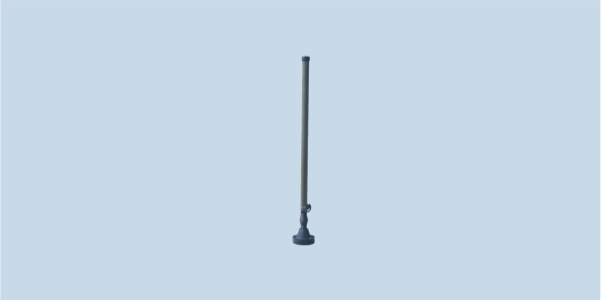 AD-18/E is a wideband dipole mobile antenna with frequency range from 225 to 512 MHz, mainly intended for use in heavy duty mobile communications applications. The antenna is composed of a radiator and base. The radiator is made of 43 mm diameter fiberglass whip with special radiating elements securely placed inside. Electrically the antenna is designed as center-fed dipole antenna, thus the electrical characteristics are independent from the ground or mounting place.